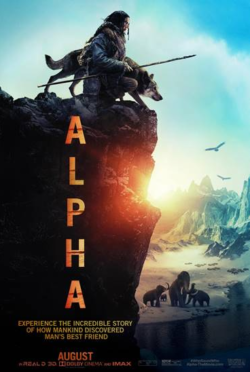 Media Mikes has teamed up with their friends at Sony Pictures to give (50) readers and a guest the chance to be among the first in Kansas City area to see the new film “ALPHA” at an advance screening to be held on Tuesday, August 14th. All you have to do is click HERE. The first (50) people to do so will receive a pass for (2) to attend the screening. This is a first come/first serve giveaway. After the allotted (50) passes have been claimed, the giveaway has ended. The screening will be held at the AMC Towncenter 20 Theatre in Leawood, Kansas and will start at 7:30 p.m.
ALPHA opens in theaters August 17th. “Appleseed Alpha” is based on the original manga by “Ghost in the Shell” creator Shirow Masamune. This series has had a great life to do starting in 2004 with the first film “Appleseed” and in 2007 with “Appleseed Ex Machina”, this CG-animated film is a prequel to the series and one of the best installments to date. I love the new look of this film and I couldn’t take my eyes of the TV. Luci Christian and David Matranga return as the voices of Deunan and Briareos as well. If you are looking for a state-of-the-art action packed CG film, look no further. Official Premise: Left to survive in a post-World War society, two mercenary soldiers – Deunan and her cyborg partner Briareos – are sent on a mission on the outskirts of their war-torn city. During the operation, they run into Iris and Olson, two citizens from the utopian city of Olympus, who might have a way to save the world but the ruthless Talos and the scheming warlord Two Horns have their own plans. It’s up to Deunan and Briareos to safeguard their newfound contacts and help save humanity’s last hope. Sony is releasing this film as a combo pack including Blu-ray + UltraViolet Digital Copy. The 1080p transfer was simply amazing. I immediately fell in love with the the animation style. The DTS-HD Master Audio 5.1 surround track was easily the highlight though with a killer music soundtrack. This film includes some great songs from today’s top international music artists, including Yasutaka Nakata (CAPSULE), Skrillex & Alvin Risk, androp, CAPSULE, DJ FUMIYA (RIP SLYME), PASSEPIED, Q;indivi+, tofubeats, AKLO, 80KIDZ, nishi-ken, and RAM RIDER. In terms of special features, there is a great filmmaker commentary track with director Shinji Aramaki and 11 making-of featurettes that track the cover the film from script to screen. I have to admit, I do not think that the world was howling (get it?) 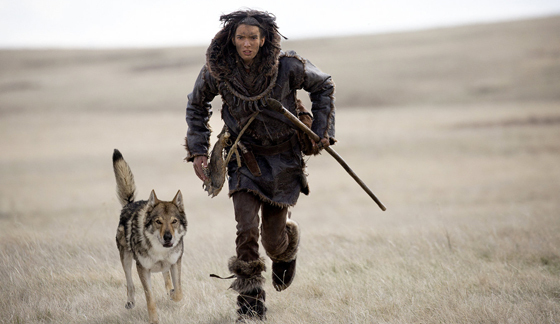 for a sequel to the 2010 film “Alpha and Omega”. The film was a nominal success in theaters but it was cheap and made money. Like the first film, “Alpha & Omega 2: A Howl-iday Adventure” was made by the Indian animation studio, Crest Animation Productions. I am not surprised since “Alpha & Omega” was their highest grossing animated film. Even though I wasn’t a huge fan of the first film, I am a sucker for a good holiday themed film. This one is quite entertaining and kids will love it for sure. I just wish it was longer than 45 minutes, but nonetheless it will be a repeat watcher with my 16 month old daughter no question. In terms of the release, for this Walmart Exclusive, Lionsgate delivered a very fine release with Blu-ray + DVD + UltraViolet digital copy combo pack. The 1080p transfer is beautiful and the animation looks amazing, along with very vibrant colors. This film is not in 3D though like the first. The DTS-HD Master Audio 5.1 track works well with the film as well. In terms of special features, it was a bit of a let down to be honest. There is a quiz for kids to test if you “Are you an Alpha or an Omega?”. There is a “Wolf Fun Facts Trivia”. The only extra worth checking out is “A Wolf’s Tale: Making Alpha and Omega 2”. Lastly “Following the Pack: A Sneak Peek Into Upcoming Alpha and Omega Adventures”, so if you enjoy this series there will be more to come. A live-action “Tom Clancy’s Ghost Recon” film…where do I sign up. This film is a sharp and fantastic attempt to showcase the charm of this series. The only bad thing about short film is that it is a ‘short film’, I would have loved to seen this go feature length. This film will be put out to time with the release of Ubisoft’s “Tom Clancy’s Ghost Recon Future Soldier” video game for Xbox 360 and Sony PlayStation 3. The film is produced by Little Minx aka Ridley Scott, so you know that you are not getting some cheesy low-budget action. This film contains some great action and impressive CGI. New Video also released last year the brilliant “Assassin’s Creed: Lineage”, live-action prequel as well. What’s next guys? We want more!!?? If you are aware of the “Tom Clancy’s Ghost Recon” franchise, you will know that the ghosts are the world’s most highly trained and lethal soldiers. This film is a specifically a prequel to the new video game “Tom Clancy’s Ghost Recon Future Soldier”. It focuses on what happens when the Ghosts are dropped behind behind lines in hopes to eliminate one of the world’s biggest terrorists. This film also boasts the amazing cinematography from Trent Opaloch, known best for his work on “District 9”. This release not only comes with a Blu-ray disc but also a DVD disc as well. The video looks great in its high-def 1080p transfer. The audio is also very impressive and packed with a fantastic score. There are only two special features but they are very impressive and worth the purchase of this film alone. There is 30 minute making-of featurette, which is longer than the film itself and really dives into all aspects including the special effects, the production and even the score. Lastly there is the 2010 Comic-Con teaser included. If you are fan of the series, this is a must purchase.